There is no doubt that one of the biggest game changers for amateur golfers is the hybrid. The problem is that there are so many options out there not just in brand, but it shape, sound, and performance. Entering into 2013, one of the companies that many have their eye on is Adams golf, not just because of being the “#1 hybrid on tour”, but also due to their recent acquisition by TaylorMade Golf. When a company is acquired by another, even when it remains its own entity, one cannot help but wonder what changes may be in store. 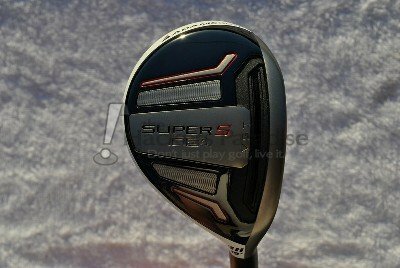 This was what interested me most when I discovered I would be reviewing the 2013 Adams Super Hybrid S.
EASY TO HIT…LIKE A PRO. You may not play on Tour, but you’ll feel like it with the #1 Hybrid on Tour. The SUPER S Hybrid will be your go-to club. It gets it done. Those long Par 3s? You can stick it close now. Long iron shots are fun again with the SUPER S Hybrid. Cut-Thru VST in the sole increases CT to 230 creating an ultra-hot stainless steel hybrid. Refined Crown Slot creates higher launch angle without increasing spin for longer carry distance. For this review, I tested the 19° Super Hybrid S. Just like the LS, the S most notably possesses a change to white paint on the crown. However, not only is the head white, but it also has “Speedline” in text across the back end of the crown. Unlike the LS version, where the text is a simple light grey that doesn’t draw too much attention, the text on the S is accented with red. This splash of color immediately takes your eyes right to that point on the club, and it’s because of this that I was incredibly critical coming into this review. The trend for TaylorMade, and in turn Adams, seems to be graphics on their various club heads with the intention of aiding “alignment”. I was positive it would be a major distraction; however, I truly didn’t notice the graphics after the first couple of swings. In addition to that, I actually did find it to help with alignment when combined with the VST slot and black face of the club. The thing that stands out the most with the Super S for me is actually the head itself. 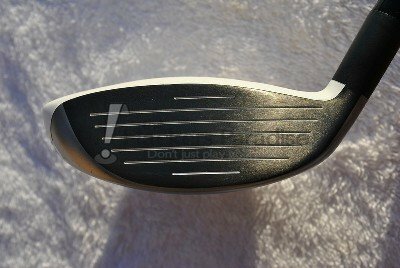 I understand that the white paint has a way of increasing apparent club head size to the user, but the S definitely has a larger footprint than the LS, not to mention many others on the market. I compare it to a smaller, more traditional, fairway wood in size. Even the face of the S has a slightly shallower and a rounded look to it when compared to what many consider the traditional face style of Adams hybrids. Offering two very unique hybrid shapes is a very smart move by Adams, as they clearly cover both categories of golfers and what they prefer in a hybrid. I know that throughout my time with the S, the profile and the face fit me incredibly well, and I came away quite impressed with the complete package, graphics and all. The Super S hybrid comes paired with the Matrix Kujoh 75g hybrid shaft. For this review, I used the S-flex version and the club measured 40 inches in length – one inch shorter than the comparable LS. 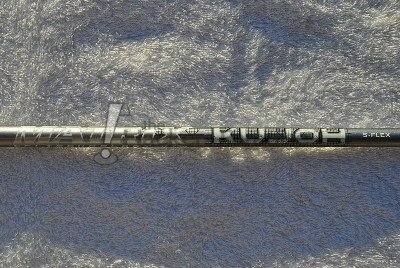 I’ve always been a fan of Matrix shafts as a whole. It seems fitting that a company like Adams, who puts so much into R&D, would pair this hybrid with a shaft from a company that does the exact same. In hybrid shafts, I always look for enough weight to feel stable through the swing, but not so overbearing that it affects my ability to get the ball up in the air quickly. That is exactly what I saw with the Kujoh. The feel of the shaft was tremendously impressive for me both in transition and through the zone of impact. I dealt with minimal shudder or harshness on toe and heel misses and the flight was not only high launching without any ballooning, but was also incredibly accurate from a dispersion standpoint. This is a good example of what putting genuine thought into a shaft/head pairing can do for a club as a whole. More companies could follow this example. I combine sound and feel into this one category because I believe they are one and the same. Usually with hybrids you have two different categories of sound. You have the solid and almost persimmon like “crack”, or you have a more hollow and metallic sound. As far as the Super Hybrid S goes, it actually fell into a bit of a combination category for me. The head itself produced what I considered to be a solid sound at impact, but with a slightly higher pitch than what I saw out of the LS. It’s a sound that gave me proper feedback through pitch changes that let me know exactly where I caught the ball. All in all, it was a nice sound. Not the best I have heard, but certainly nowhere near the worst. 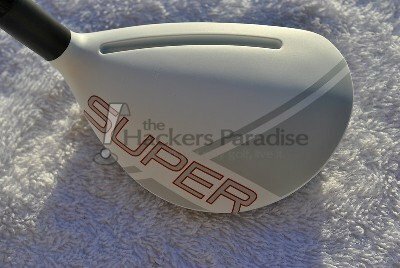 Solid audible feedback means solid feel, and the Super Hybrid S certainly scores well there for me. It has been a long while since I came away as impressed by a hybrid as I have been in my time with the Super Hybrid S. Not only did it have solid heel to toe forgiveness packed in, it was also very accurate and sneaky long. It was a consistent performer, especially off the tee on short par 4’s and off the deck on par 5’s. It wasn’t as long as the LS model was for me, but not nearly as far behind as one would expect from the material differences and the fact that it is 1 inch shorter. Additionally, I found that the larger footprint and slightly shallower face fit my swing. I understand that will not be the case for everyone though. Admittedly, one area where that slightly larger size was a slight hindrance for me was out of the rough. Due to the elongated nature of the head from front to back, I did struggle at times with contact when the ball was sitting down in the thick stuff. As an entire package, paint and all, the Super Hybrid S really shocked and surprised me. I became indifferent to the design changes and walked away impressed with Adams R&D once again. As was the case with the Super Hybrid LS, the Super Hybrid S is an example of exactly what I would expect to come from a company that is known for hybrids. Despite the flash of the new white head and the red/grey text on the crown, the S is a workhorse of a hybrid. Although it may not be the longest out there, it certainly packs a punch and has a surprising amount of forgiveness built in, which is always a sought after combination. Some people will undoubtedly be a bit turned off by the larger footprint of the club head, along with the fairway wood-like face that it possesses, but for the other segment of golfers, it could be a viable option to fill the hybrid spot in their bags. The 2013 Adams Super Hybrid S is definitely worth a try and comes with a solid MSRP of 149.99. 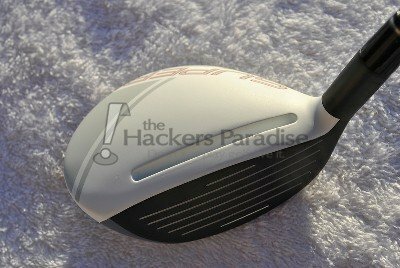 You can find more information about it at www.adamsgolf.com. Another solid offering from Adams. While some people are turned off by the price tag on the LS model, you have to like the one on this club. Another solid writeup James! I like the idea of the longer heel to toe for the majority of the shots but you made a good point about issues that can arise in the rough with such a profile – suppose there is some give/take with that with about any club though. The pricing of the S series is much more in line with what I would expect to see in a hybrid and while I thought the LS was priced too high, I commend Adams for having another series available at a solid price point but that still performs extremely well. Great review James! Well done. Sneaky long, hmmmm. 40″ in length for added control…hmmm and a shallow face, all things I look for in my hybrids. It seems Adams has two excellent choice to put in the bag, just pick your poison. Thanks for sharing James. Just put one of these in the bag and haven’t even had a chance to do much with it. Your comments on it are really what pushed me over the edge. It’s a sharp looking club for sure. Thanks for all the thoughts along the way with this one. Great review. Can’t beat the price and performance of this club. Great review! Excelleng review James. I have put the 19* in my bag and love it. 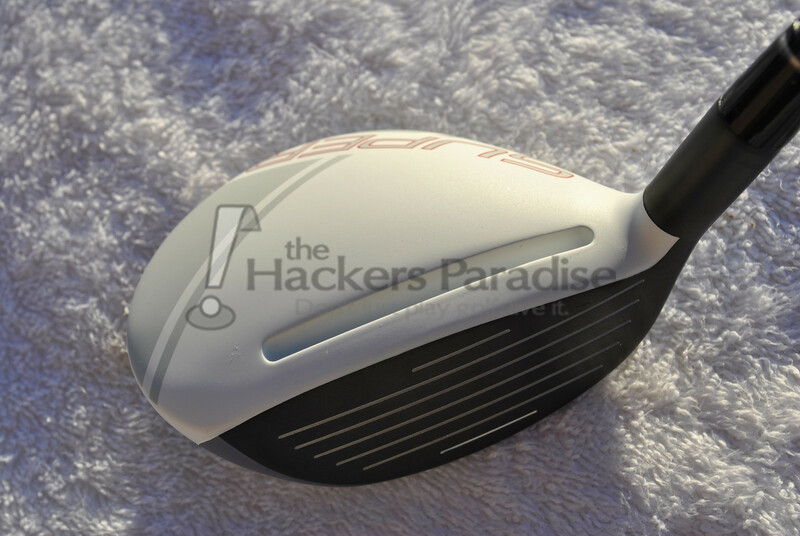 Its a perfect fit for me as I like my hybrids to lean more towards the fairway wood look. This club packs a bunch of great tech into a very affordable package. Adams has made another winner! Great job man. Excellent review. I love the shorter length and the Matrix shaft. Not a huge fan of the crown graphics but it is what it is. The price tag is tremendous also. Love seeing sub $150. Nice write up!! This is on my MUST HIT list this year. Just waiting for the dumb snow to melt! Very good price point too for this one. Great review, James. Makes me want to consider testing these hybrids out myself. As soon as they are out in the next few weeks, you can bet I’ll be in Golf Town testing the 2 and 5 hybrids. Should be interesting. And it sounds like the noise isn’t really a factor and that Adams Golf continues to provide top notcb hybrids at a top notch price! I was looking for Hybrid for that long high floating shot, dropping softly and stopping. The 25 Degree is perfect replacement for a 4 Iron. It is very forgiving, straight and yet movable for better players. I think that if I was being critical the grip is slightly thin and makes the head feel heavy. However the sound and feel is superb, the ball flight is powerful and overall and nice club.